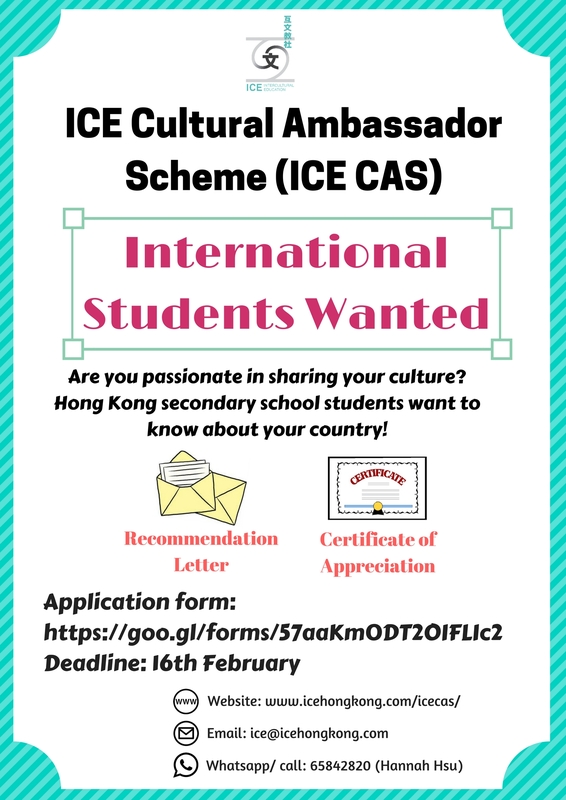 The ICE Cultural Ambassador Scheme (ICE CAS) Programme targets Hong Kong university students to join cultural workshops/events in Hong Kong local schools. 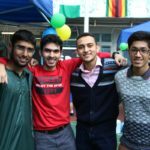 Cultural Ambassadors will provide unique learning experience by sharing their insight into their home culture and leading cross-cultural discussion to maximise students’ in class engagement. 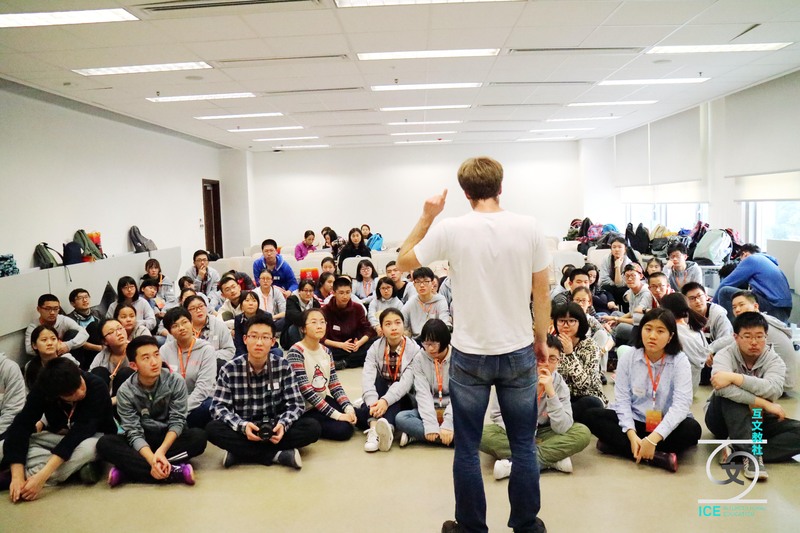 This will be a precious opportunity for you to gain leadership skills and learn and spread global awareness with a team of international people from around the world (more than 15 nationalities)! Are you curious about other cultures around the world? Are you a passionate, driven individual who is committed to our goals of shaping a global society? Here is a golden chance for you! You can start the application process by filling out the ICE CAS online application form. You will receive a confirmation email upon successful application. A short phone or chat interview will be arranged. Download our information sheet to get more details about ICE CAS! If you can’t find the details of what you want to know, don’t hesitate to contact us! The programme covers a 3-6 month period, depending on individual cases as we understand that each student has different time schedules at school. 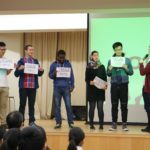 What would I do as a cultural ambassador? 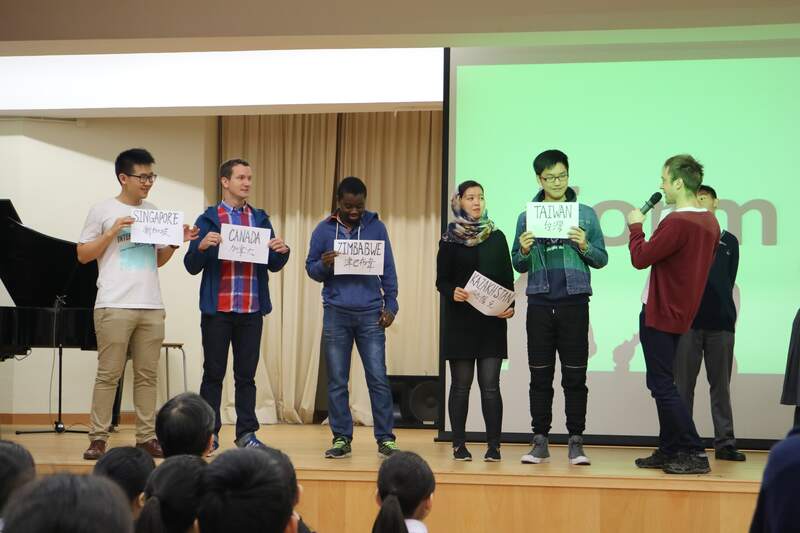 The standard format for a lesson (~40 minutes~) will be cultural presentation then followed by interactive activities. The format of the presentation varies each time/lesson, depending on the age group, theme or subject of the original lesson. Each ambassador usually takes part in 1-3 sessions each day depending on their availability and the suitability of the topic. 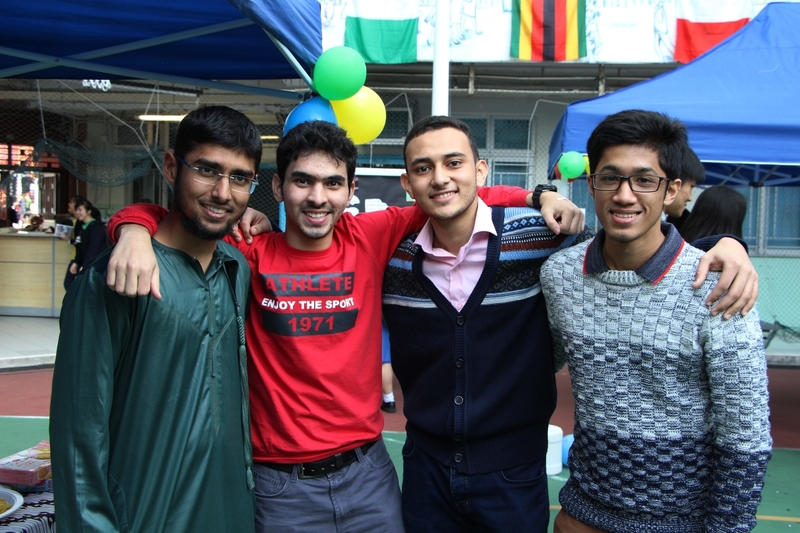 In certain events, ambassadors are also expected to decorate booths to showcase their countries. What are the requirement to successfully complete the program? Ambassadors will first attend 2 workshops as trial, to only share and speak out spontaneously. If they can not pass the trial, they will not continue the programme. Ambassadors who successfully pass the trial are required to attend at least 1 event each month throughout the programme in order to receive the Recommendation Letter and Certification of Appreciation. What could I gain from ICE CAS? We usually conduct cultural events/workshops in secondary and high school, so the age of students ranges from 11-18. We organise events and workshops for different school each time. The locations could be in either Kowloon, New Territories or Hong Kong Island. Do I get paid for the participation? This is an opportunity for cultural exchange and skills development and not a work assignment. Therefore, salary is not included. However, a fixed subsidy to cover transportation (and sometimes food) will be provided for each attendance. I am under 18, can I still join the programme? Yes! A completed consent form needs to be completed by your parent/guardian.